After the success of Felicity, I was nervous about this, since the author’s history in this series is wildly variable. But this is another success. It lacks some of the dazzling originality of previous books, returning to the well-trodden Regency style of drawing room manners, but it is so polished a performance that I have few quibbles. The romance is credible, the writing is stylish and there’s a surer hand than before with the plotting. An excellent read. Here’s the premise: Georgette Sinclair is in the doghouse for jilting a perfectly acceptable suitor just two weeks before the wedding. To allow time for the scandal to die down, she’s sent to Rosborough Hall to provide company for a distant relation, a young wife suffering from depression and migraines. The wife, Allegra, turns out to be a flighty piece, not at all happy with her staid husband, Sir Edmund Rosborough. She neglects her child, Patricia (Pippa), and only comes to life when surrounded by cicisbeos. Her husband, meanwhile, is miserable too. 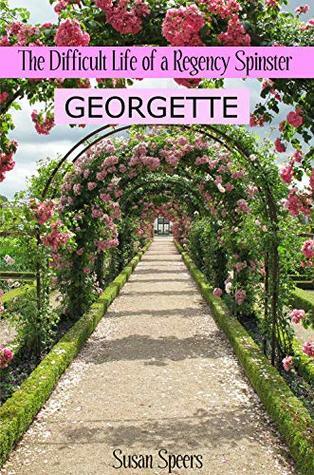 Into this strained household is dropped Georgette, equally troubled and vulnerable. The difficult relationship between Allegra, Edmund, Georgette and Pippa forms the backbone of the book, and there’s a slow and intricate build to the inevitable crisis which is both beautifully written and compelling. I don’t want to spoil anything by revealing plot details, but there were several twists that caught me by surprise, but in the best way, such that you can see the inevitability of it when it happens and it doesn’t just come out of left field. A few quibbles. The final few chapters descend almost into farce, where the characters keep bumping into each other in the most improbable way. There are some continuity errors, so that Georgette says at one point that a kiss is her first, yet she clearly describes an earlier kiss with her almost-husband. There are a very few typos and some wayward punctuation. But none of this was a problem for me. I enjoyed this enormously, the writing was effective and beautifully evocative, and I was thrilled that the protagonists behaved well despite temptation. Hooray for characters with moral backbone. Five stars. I can’t wait to find out what the letter H has in store. Well, what to say about this? Readers of traditional Regency romances are presumably looking for one of three things: a splendid, emotional romance with a full measure of feels; a good sense of a historical time and place, to take them back into the past; or a story full of the richness of language as it was in the past. Sadly, this book fails on all counts. The romance is bone dry and passionless, the history is a mixture of details looked up on Wikipedia and absolute howlers, and the writing is so stilted and repetitive as to be almost funny. I’d like a pound for every time a character said “In truth”. The premise isn’t original but it’s a promising one, full of possibilities. Georgette Darrington is left destitute and homeless when her father dies, forced to take a position as a governess. Her father, apparently, is a ‘minor baron’, whatever that is (a baron is a baron, the only distinction is in the date of creation), but there are no other relations (presumably the barony becomes extinct) to call upon for aid, and Georgette, who lives in London and mingles with society, seemingly hasn’t a single friend able to help, either. So she goes to an employment agency to find a job. This all seems highly unlikely. Even supposing she has no suitors willing to marry her at a moment’s notice, she would almost certainly find work as a governess through the grapevine, not through a servants’ registry, which would have specialised in housemaids and the like. I also wondered why her noble father didn’t have a country estate, as was normal for peers and gentry of the day. But never mind. So the first job offered is with a duke – well, of course it is! And with no references, no letter of recommendation and no attempt by the agency or the duke himself to ascertain whether our heroine is remotely suitable for the job, she starts work. Her pupils are the duke’s twin nieces, four years old, who previously lived in Wales and so speak Welsh, and have a Welsh accent. 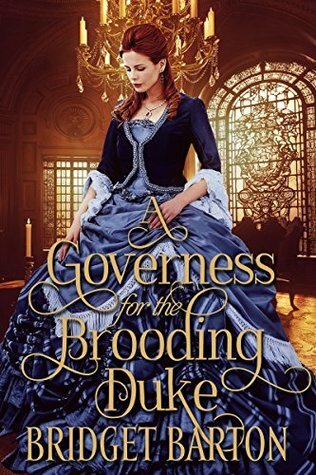 The duke has given only one instruction for the governess – the girls are to be taught only English, and their Welsh accent eradicated. So our heroine promptly starts learning Welsh and encouraging them to use Welsh at every turn so they won’t lose their culture. Of course she does. This is what comes of imposing modern values on historical fiction. In the Regency, ethnic and regional culture just wasn’t a thing. In Britain, regional accents weren’t even tolerated in public life until the Beatles came along in the 1960s. If you had any pretensions to status, you spoke with received pronunciation or you took elocution lessons until you did. Anyone who talked differently from what was expected of their class was ostracised and laughed at. So the duke was absolutely right to want to suppress that Welsh accent, because those girls would have been ridiculed for it. Of course, since they were only four, they would lose it pretty quickly anyway if they were surrounded by English accents, so there was no need to do anything about it. It’s a pity this theme wasn’t developed in a true Regency manner, because it’s an interesting and unusual one. I’d like to see what an author with a better grounding in the era could have done with it. There are any number of other instances that demonstrate that the author has done some research, but doesn’t have a real feel for the era. She looked up how often the horses needed to be changed when travelling, for instance, but then conflates a post-chaise with a mail coach, so our heroine arrives at the ducal home in a post-chaise that also delivers the mail, with a ‘driver’ (a mail coach has a coachman and a post-chaise has postilions). She’s aware that a governess is neither servant nor family, and might eat meals in her room, but in a household of that size she would have had her own sitting room (as would the housekeeper) and the use of a personal servant to help her dress and bathe. Footmen served tea, not maids. There was no afternoon tea in the Regency era, and luncheon (or nuncheon) was a new-fangled idea that hadn’t quite caught on. Bridge wasn’t invented until 1896. Regency folks played whist, or piquet, or vingt-et-un, or faro, or cribbage. The servants are pretty horrible to Georgette, for reasons which were never made clear. Why on earth were the butler, housekeeper and head nurse so determined to be unpleasant? Her washing water is stone cold, her food is inedible and she’s left to get lost in the rabbit warren of servants’ quarters. There’s no sensible reason for this. Even a senior servant could lose their position if complaints are lodged against them, so they wouldn’t risk it, and there’s absolutely nothing to gain by antagonising the new governess. Another illogicality lies with the duke. He doesn’t want the twins around and their accent and use of Welsh upsets him, so why not find another home for them? Maybe a female relative living not too far away, who actually likes the girls? Well, stone me, the duke has an aunt who would love to look after the girls, but no, he has to be a martyr and make everyone miserable. The duke is the only character who has a bit of depth to him. He blows hot and cold, and one minute he’s ticking Georgette off, and the next he’s sharing intimacies and hugs with her in a fairly inappropriate way, but at least he’s not saccharine-sweet, like Georgette, the aunt and the twins, nor is he outright villainous, like the servants. As for the romance, there’s no insight into the main characters’ feelings so the blossoming into love at the end feels abrupt and not very believable. There’s no passion and no real emotion, either, but it’s perfectly clean, for those who prefer that. All in all, there are the glimmerings of a good story here, but the execution is flat, without an ounce of sparkle or humour, and very little feel for the Regency era. Two stars for having virtually no typos, getting the titles mostly right (hallelujah!) and an original theme in the children’s language issue, but I can’t really recommend this otherwise.